Here is a new game dedicated to the Ronde Van Vlaanderen (that is, the Tour of Flanders), one of the five one-day races known as cycling "monuments. The presentation, as you can see, is unusual. The big (70 x 50 cms) plastic board is rolled inside a carboard tube. 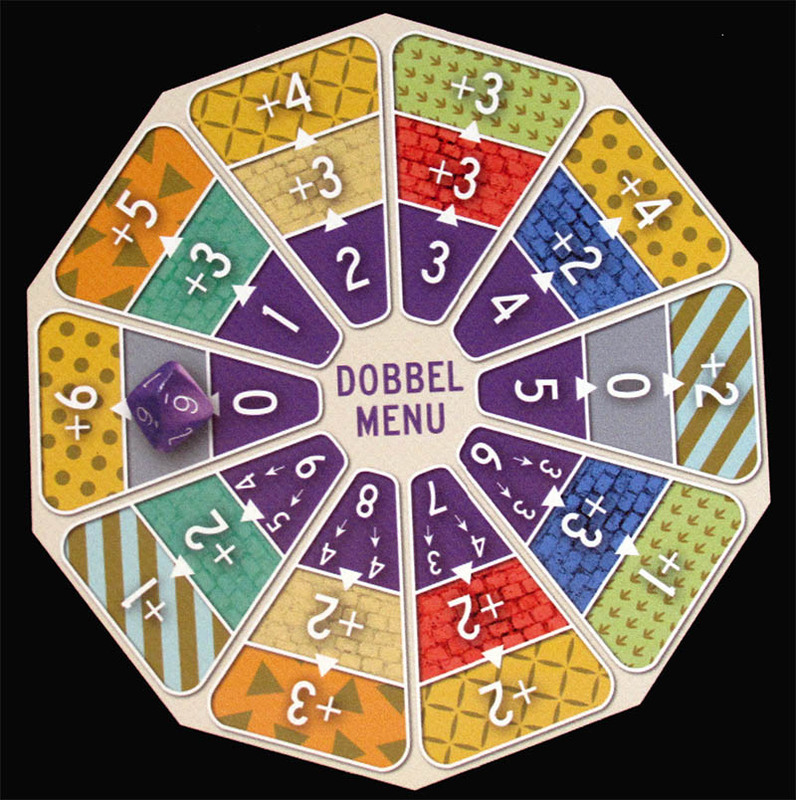 Apart from the board the tube contains 4 small plastic riders, a D10 die and the rules in 4 languages (Dutch, French, English and German). It is a simple dice game for up to 4 players with a tactical twist. 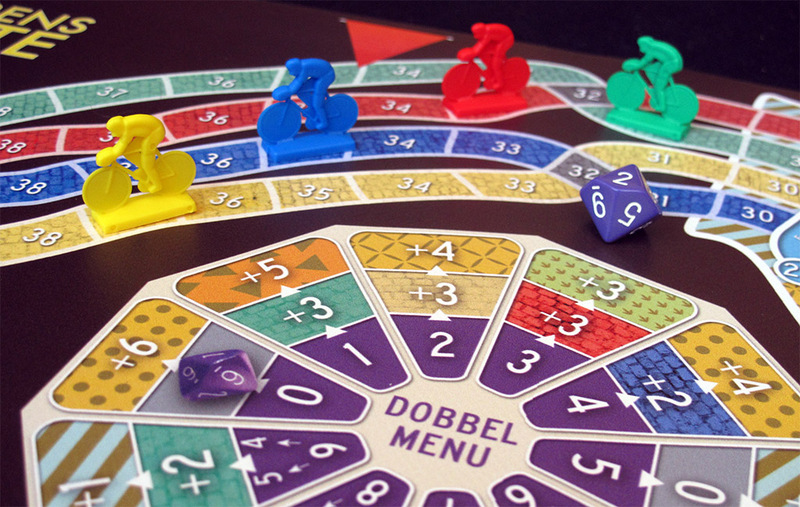 The result of the die throw is read on the decagonal table at the center of the board. For certain throws players must advance not only their rider but another rider as well. There they have to decide if helping a rider ahead (and risking not seeing him again until the finish line) or a rider behind (and putting him back in the fight). It is not a game for serous gam,ers, of course, but rather a pleasant ambiance game. The board is divided in 8 sections, corresponding each to a well known section of the actual race (the short sharp climbs which have made this race famous) and some road crossings which may cause falls. 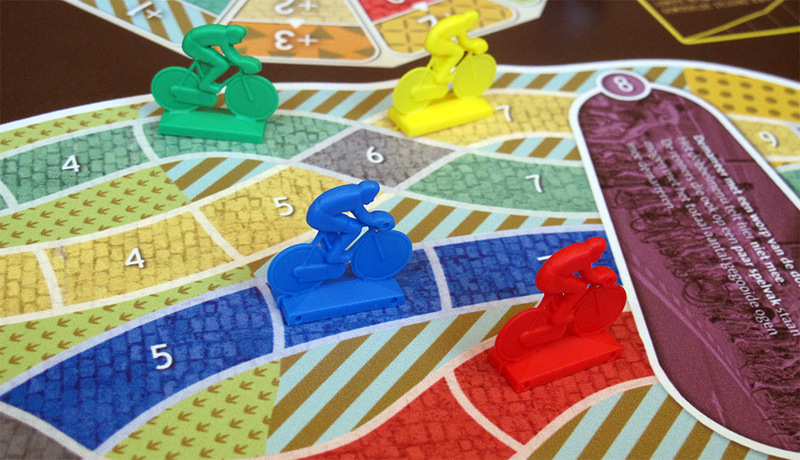 This is the second game in my collection dedicated to this race (here is the other), which make De Ronde one of the best-represented races in board games. 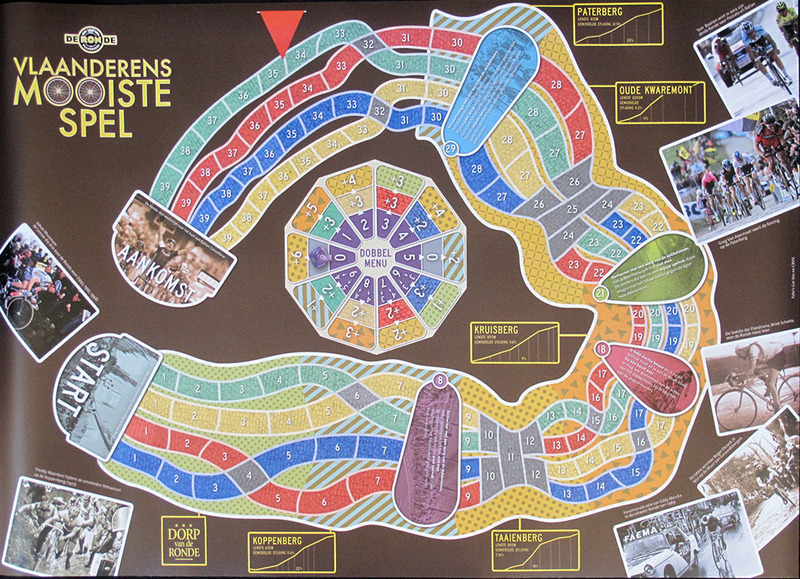 At the day of writing, this game is sold only at the Tour Of Flanders Museum shop at Oudenaarde (where the race finishes). Fortunately you can contact their webshop to have it sent to you. If I were you, I would hurry to get it, I do not think they have made a large edition. Thanks to Marc, Didier & Ludo for telling me about this game and/or offereing their help to get it. Many thanks to Céline Everaert of the Centrum Ronde van Vlaanderen at Oudenaarde for sending the game.